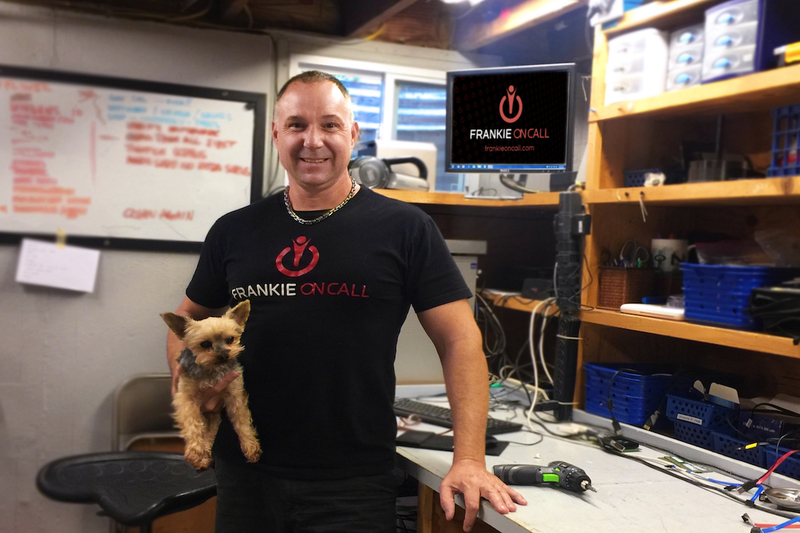 For onsite computer repair, home networking and smart technology solutions, Frankie OnCall is a technology solutions provider founded on the belief that customer service is about building relationships first and business second. Since 2004, Frankie has forged strong ties with home owners, entrepreneurs and small businesses. This has resulted in trusting relationships with more than 500 clients who have come to rely on our high standards of professional service, training and support. Whether for your home or your business, Frankie OnCall provides advanced technology solutions fueled by knowledge and outstanding customer service. We value your trust, and in exchange we are committed to providing the best service in town with the least amount of hassle. That’s the Frankie OnCall way.